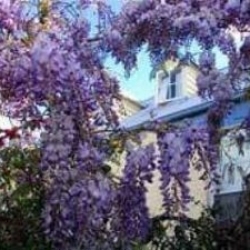 The Wisteria room is one of the two original bedrooms dated back to the 1840’s. 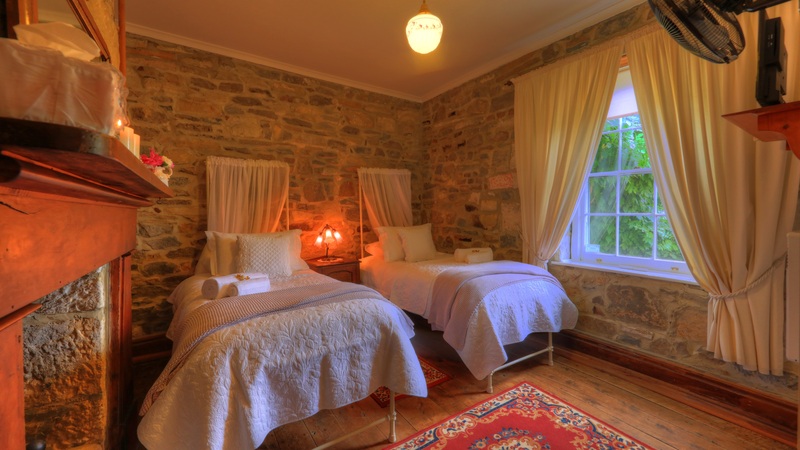 This room features 2 cast iron single beds with new inner spring mattresses. 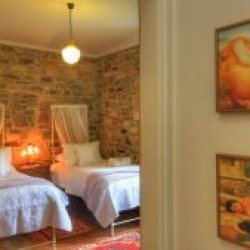 This charming room has a private ensuite, original wooden floors & stone walls. 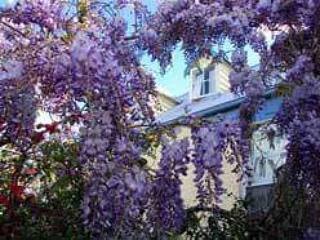 The window looks out on the wisteria vine – glorious in spring as well as the vegetable and back gardens. 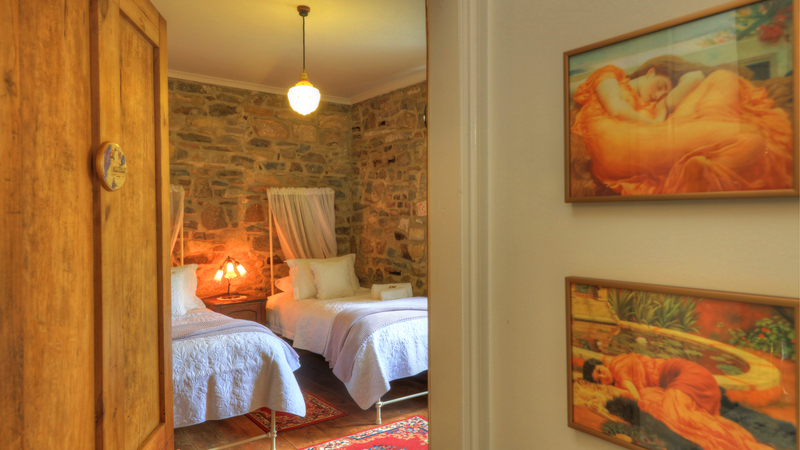 This room features the original wood burning open fireplace, although due to the house age, it can no longer be used. 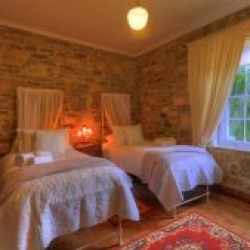 Room heating is provided as well as electric blankets and premium linen & bedding. 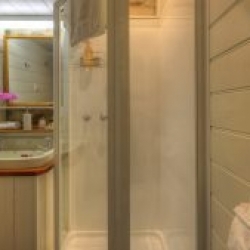 As this room features 2 single beds it is ideal for companion travelling or for those that prefer separate beds. 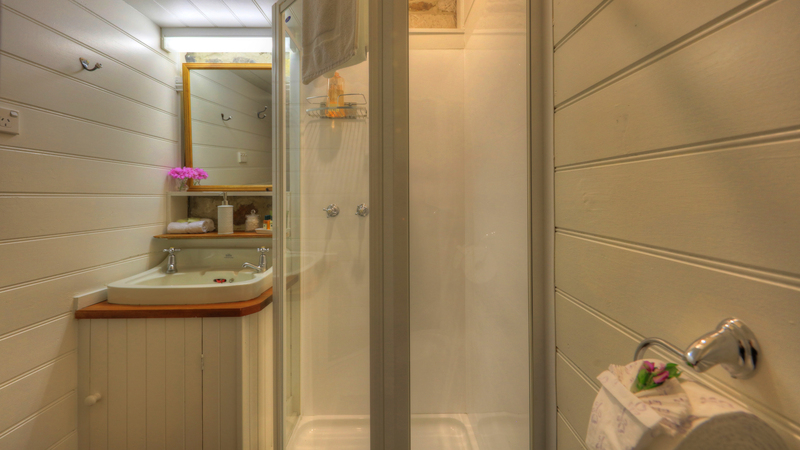 A flat screen TV with built-in DVD is provided along with a selection of DVD’s. Outdoor seating available on the front verandah under cover, the east facing verandah outside the room and in the garden.